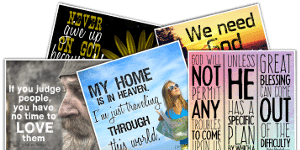 When Jesus was talking to His disciples about the kingdom, He said that “no one who does a mighty work in my name will be able soon afterward to speak evil of me. For the one who is not against us is for us” (Mark 9:39-40), with His point being “whoever gives you a cup of water to drink because you belong to Christ will by no means lose his reward” (Mark 9:41). A cup of water doesn’t seem like much, but the timing of that drink can mean a lot to a hot, thirsty person. Random acts of love never go unnoticed by Christ. 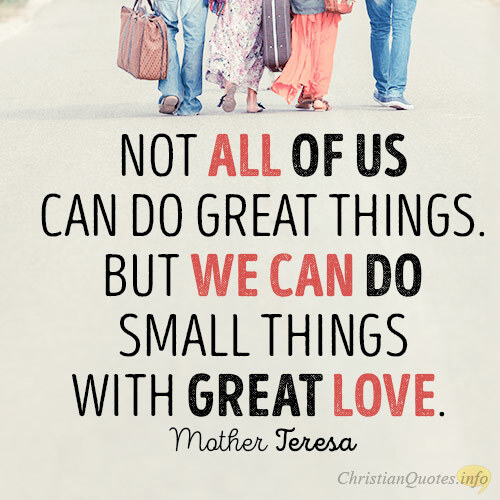 When we give others a word of encouragement, I believe we are doing a small thing that can add up to make a big impact. When we compliment someone sincerely, it gives them pleasure. When we notice someone doing something for another, we should thank them so that we might spur one another on to good works (Matthew 10:24). Just saying “thank you” or “good job” can go a long, long way in making someone’s day; and they may very well pay it forward as they express gratitude to others. 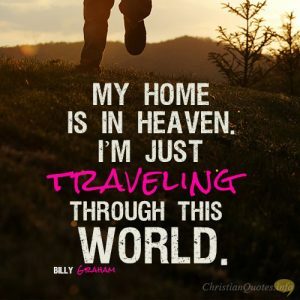 When we share the Gospel of Jesus Christ with the lost, it might seem like it’s not taking effect. But as any farmer will tell you, when you plant a seed, it takes a long time for it break the surface. To the naked eye, it might seem to be a waste; but underneath the surface (or soil), things are happening. The Spirit of God can take the Word of God and make a child of God. So trust God’s power in the small things because the power is in the Gospel (Romans 1:16, 1 Corinthians 1:18) and not in us. 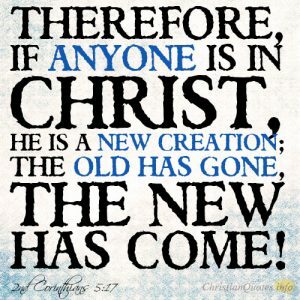 Sow a good word, tell them of Christ, and then leave the results up to God, for only He gives the increase (Acts 2:47). 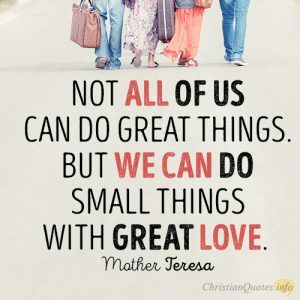 As Mother Teresa said, “We cannot do great things on this earth, only small things with great love.” But love is the underlying motivation of all of our acts; at least it should be. 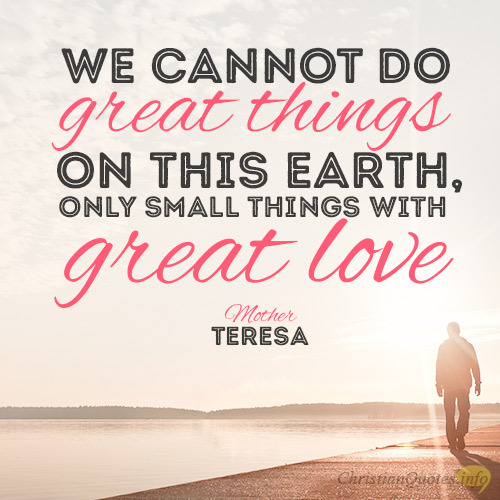 We can do a small act of love (cup of water), we can encourage others, and we can plant seeds and then trust the Lord of the Harvest. 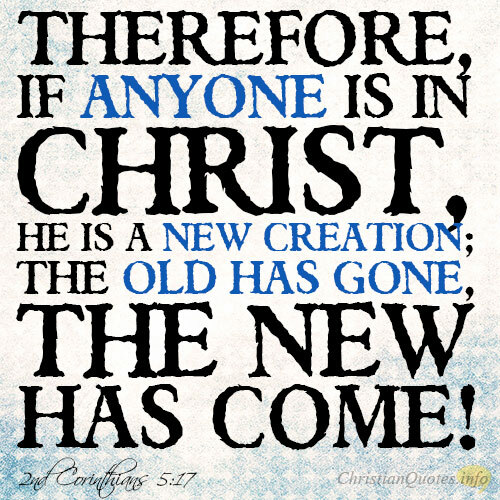 Nothing big or small ever goes to waste if it’s done for Christ.